The outstanding characteristics of GMN ball bearings are the result of technically demanding quality characteristics which achieve maximum performance limits. 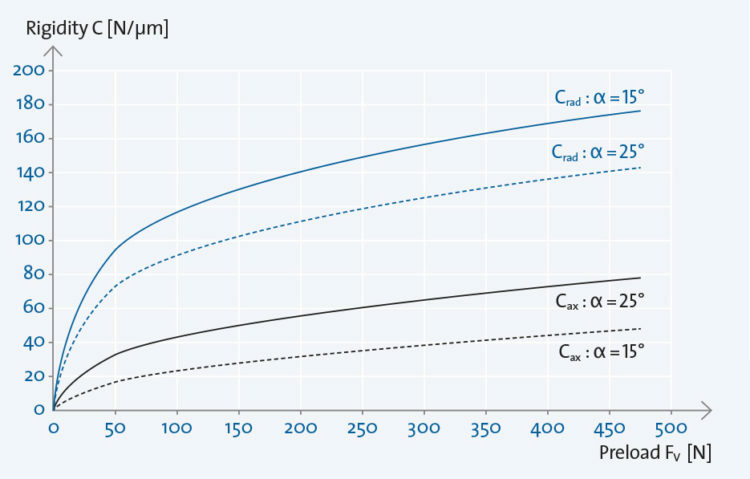 Various measures in design, such as preload or multiple arrangements of bearings, counter performance limitations and increase the performance capabilities of bearings. 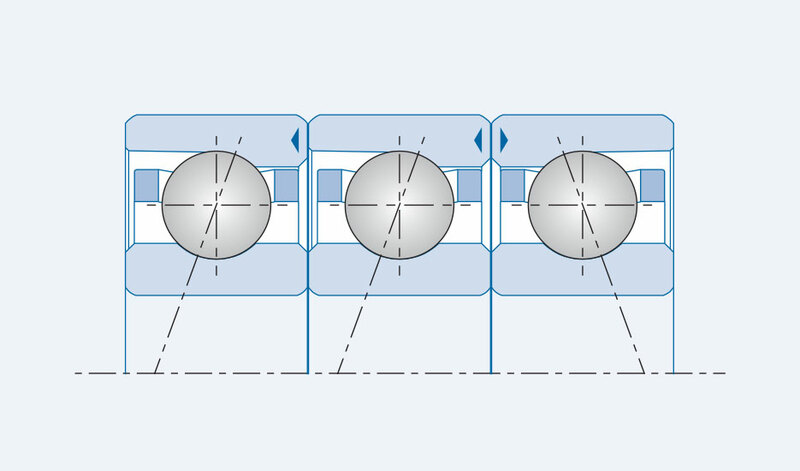 Preload is defined as a constantly acting axial force on a ball bearing which creates an elastic deformation in the contact area of the balls and raceways. 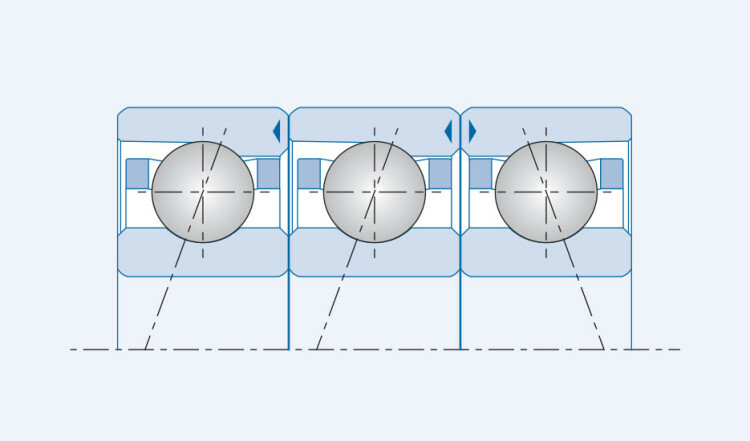 Installing ball bearings with stiff or spring preload optimizes many performance characteristics for bearing operation. 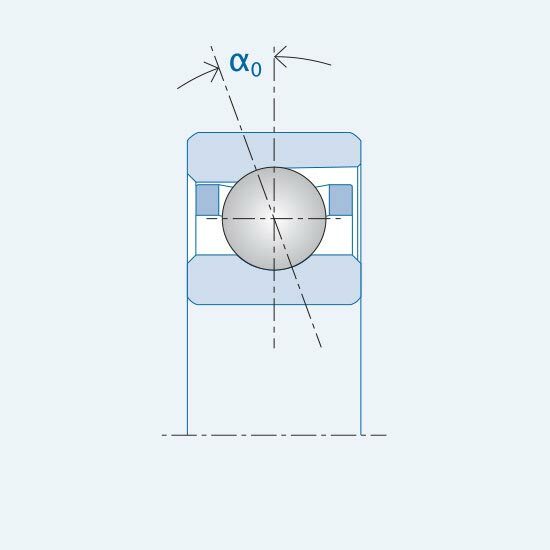 Rigidity defines the amount of axial force effect [N] on the ball bearing, which causes a shift in the bearing ring by 1 μm. Suitable preload increases bearing rigidity and supports the load carrying capability of the bearing against operating forces. Lifting force is the force at which the bearing becomes load-free through a central axial load on a bearing set. 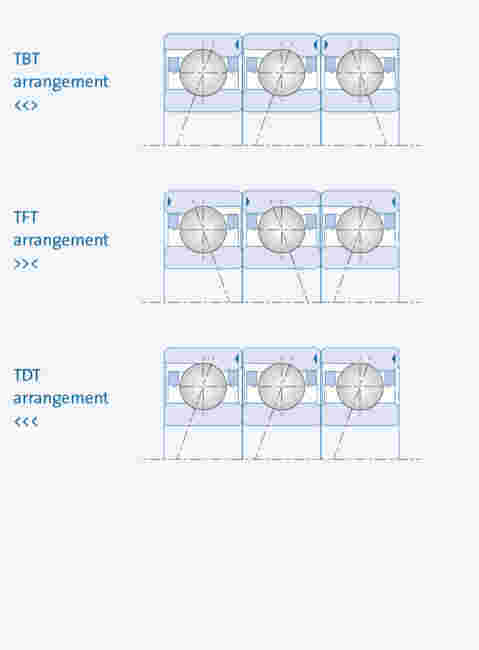 … the balls and the raceways of the unloaded ball bearing are no longer in constant contact. … the wear is increased by increasing sliding friction. 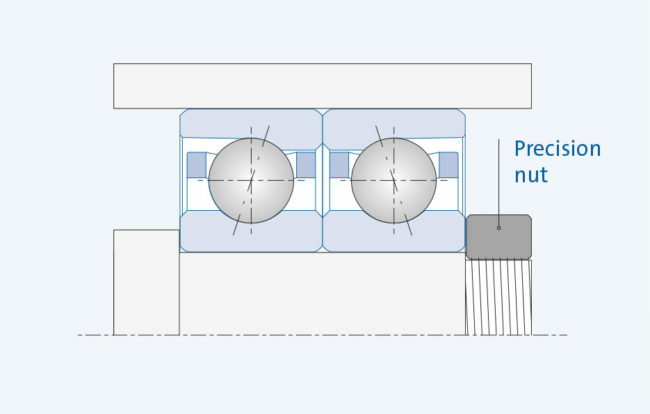 For the complex calculation of the required bearing preload, GMN provides software solutions that deliver reliable preload results, using our long-term practical experience. 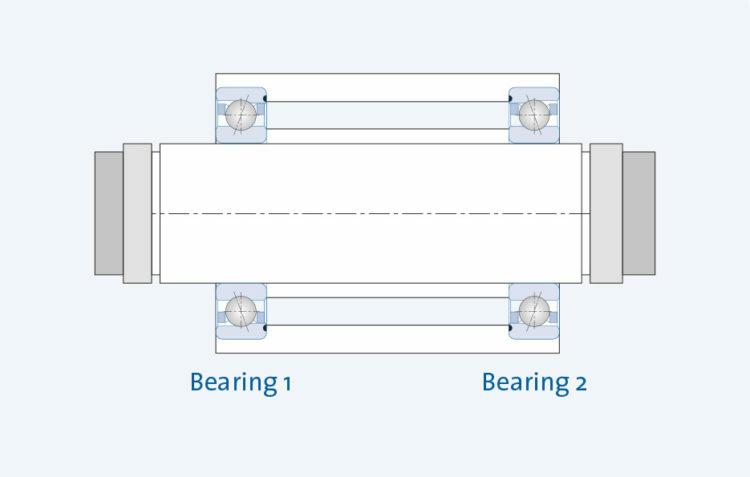 The arrangement of several bearings in so-called bearing sets increases load bearing capacity, rigidity and lifting force. 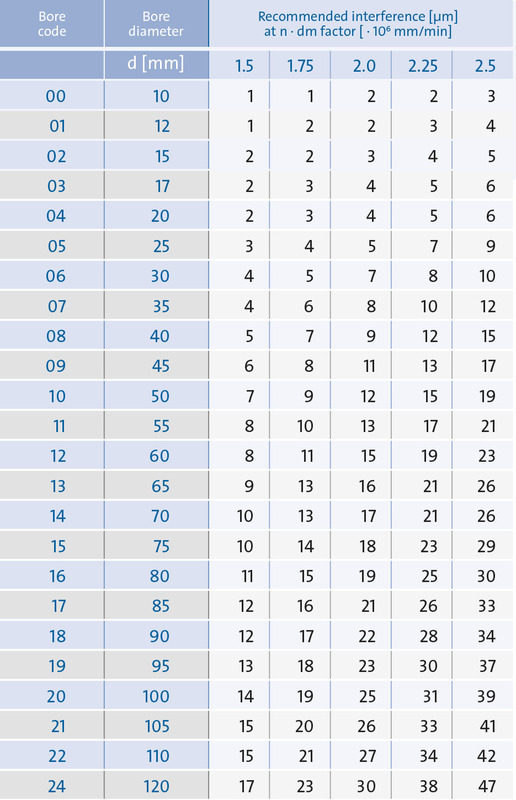 * Reference values for bearing pairs in O- or X-arrangement (see bearing data). 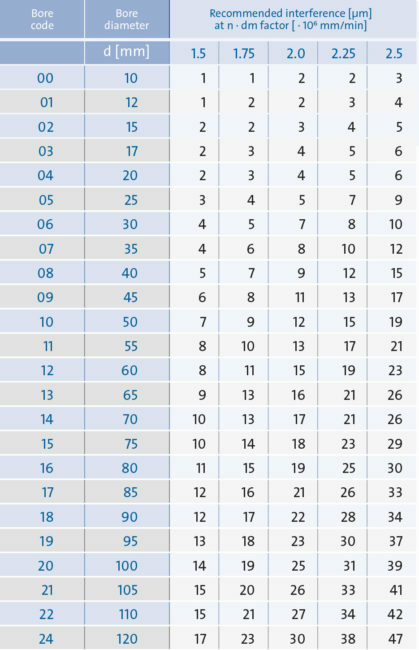 Operating-related influences (such as RPM, load) are not considered. 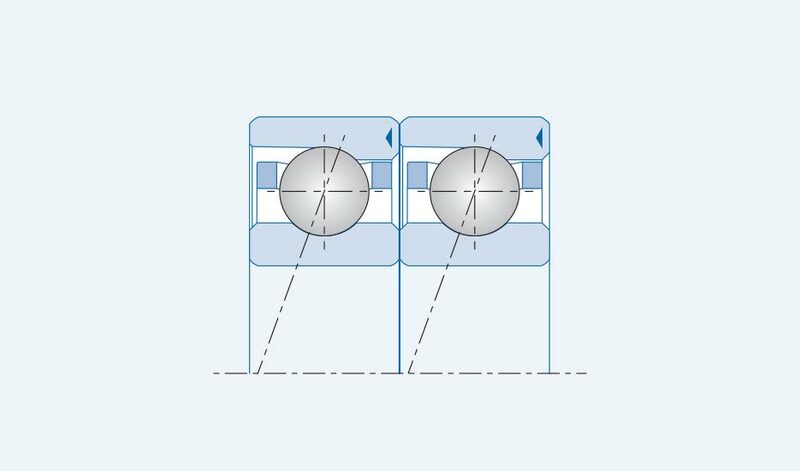 With rigid bearing preload, specified bearing pairs in O, X or tandem arrangements offer an effective, cost-effective and technical solution for many applications. 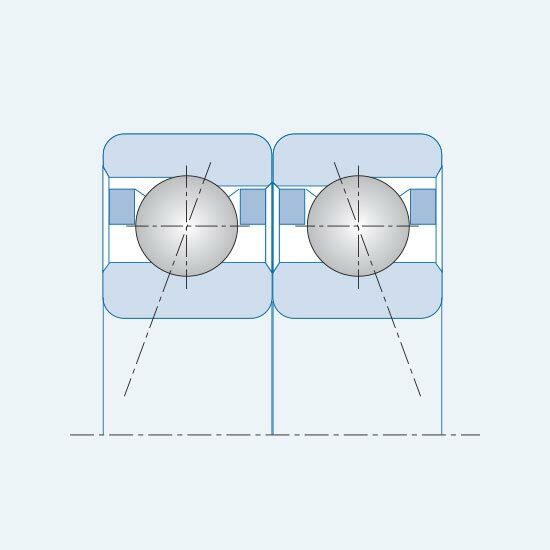 With maximum requirements for system rigidity or high loads, X, O or tandem arrangements with 3 or more bearings provide outstanding performance characteristics. 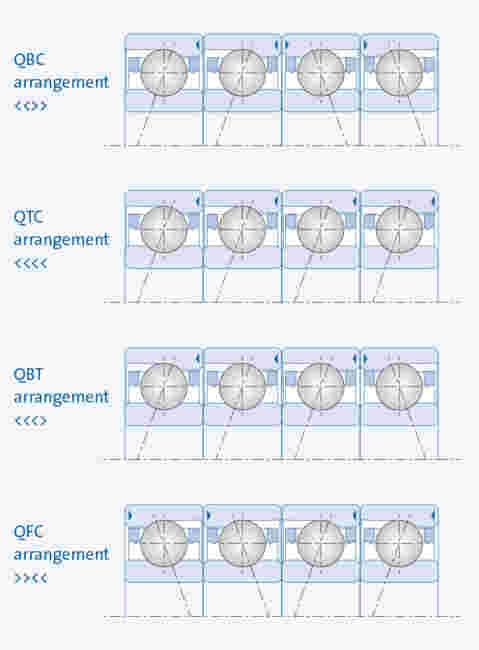 One can achieve differentiated optimization of individual quality characteristics of paired bearings by installing intermediate rings (distance rings). The width of an intermediate ring is at least the width of an individual bearing. Care must be taken to ensure a good planar parallelism between the intermediate rings (see also the accuracy of the components). 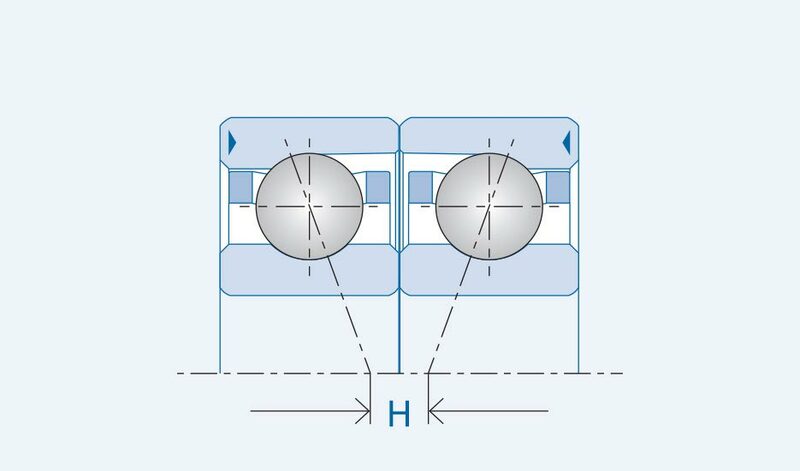 The required parallelism of the outer and inner intermediate ring is ensured by planar grinding of both rings in one clamping operation. In the case of bearing sets with intermediate rings (for example <||<||>||>), the spacer ring between the bearings is ground off with different pressure line trajectories and thus the pre-tensioning is coordinated. 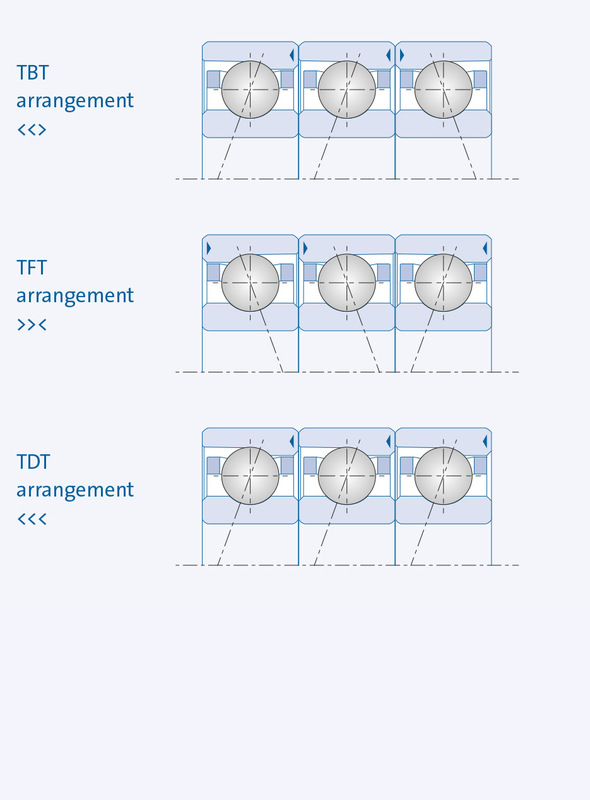 Intermediate rings provide a change to pre-tensioning for already coordinated ball bearings. 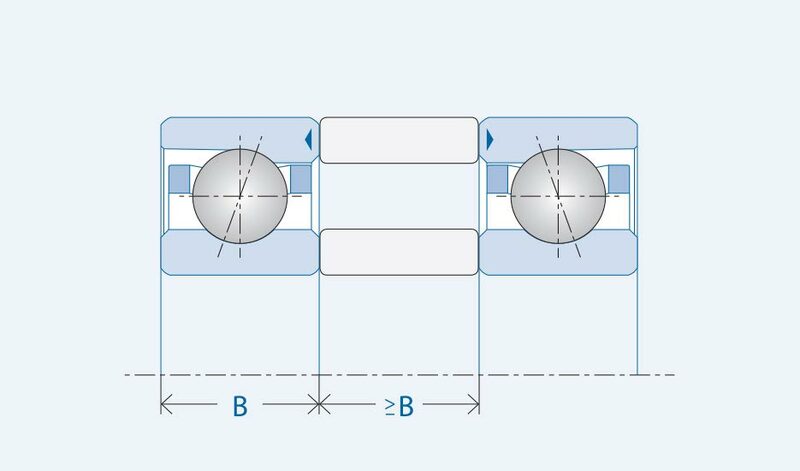 You will find the required differential dimension of the intermediate rings for a change in the preload of a specific bearing in the technical information sheet “Change of pre-tension L-M-S” as well as further information in the download area. 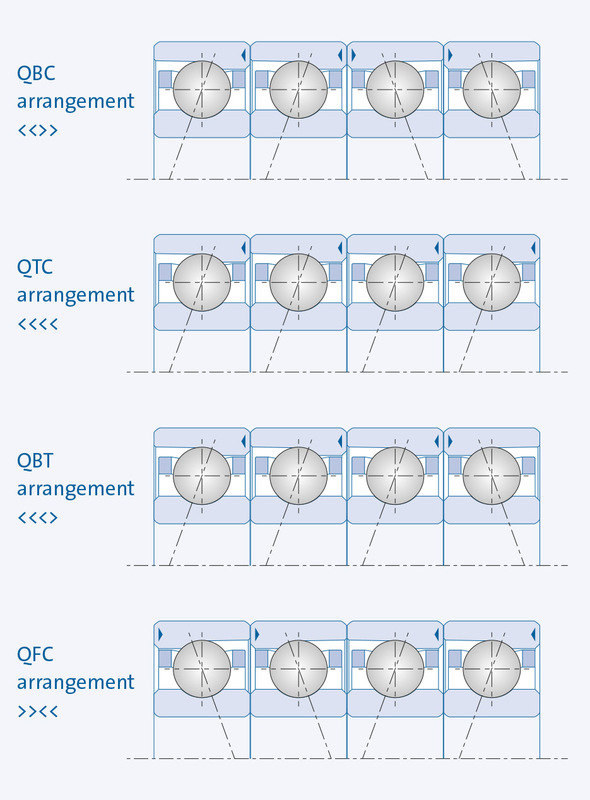 The angle of the straight lines between the contact points: Inner ring raceway – ball – outer ring raceway and the radial level defines the contact angle. 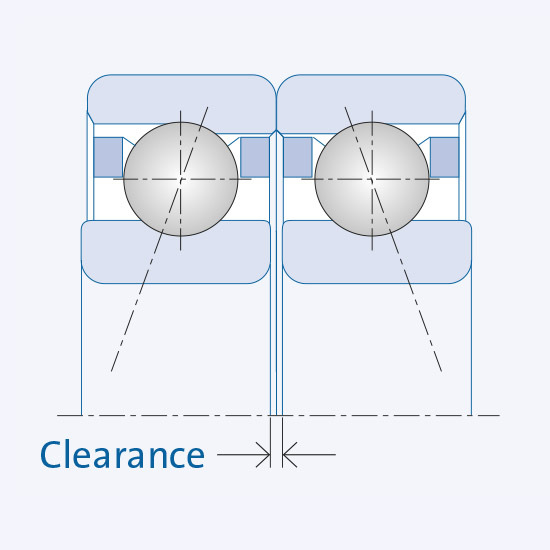 The contact angle is determined depending upon the radial bearing clearance (bearing play) and osculation of the raceways. Load transfers between both bearing rings are made over the contact points of the raceways with the balls. 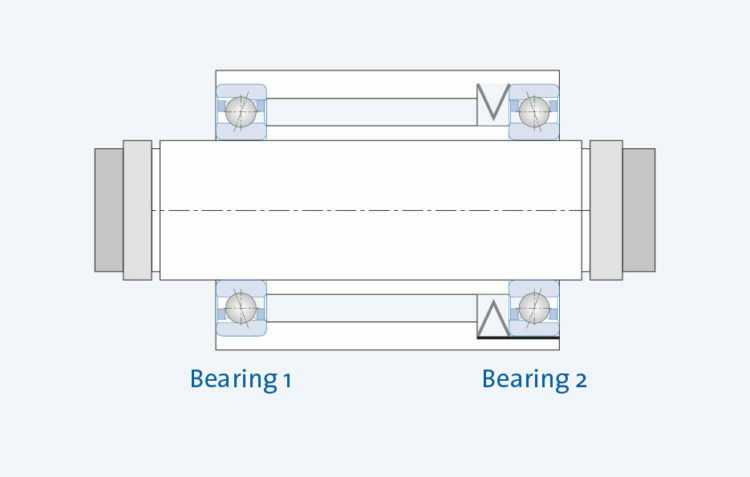 Uniform load distribution on the individual bearings in bearing arrangements sets the same contact angle on all loaded bearings. … temperature differences from inner ring to outer ring. Further contact angles are available on request. In order to counteract the lifting of the inner ring, a stronger fit is recommended. The use of precision nuts to clamp bearings (sets) supports an optimal utilization of the performance capacity of GMN high-precision ball bearings. 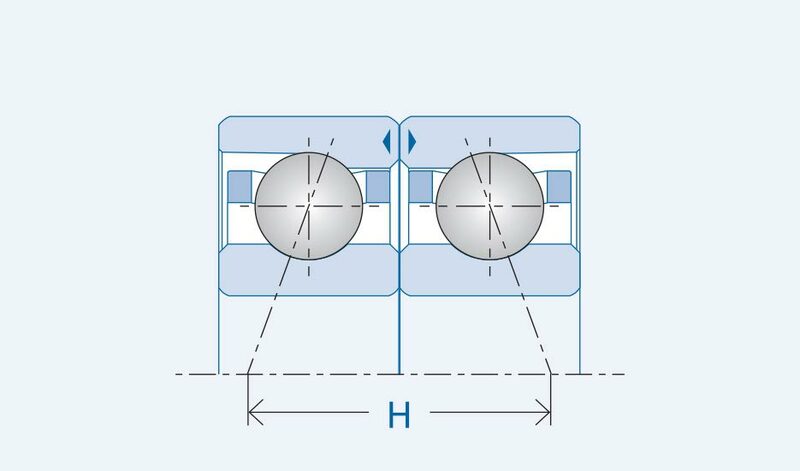 A sufficiently high axial clamping force fixes the bearings in the intended position and ensures the required preload, precision and rigidity of the bearing. 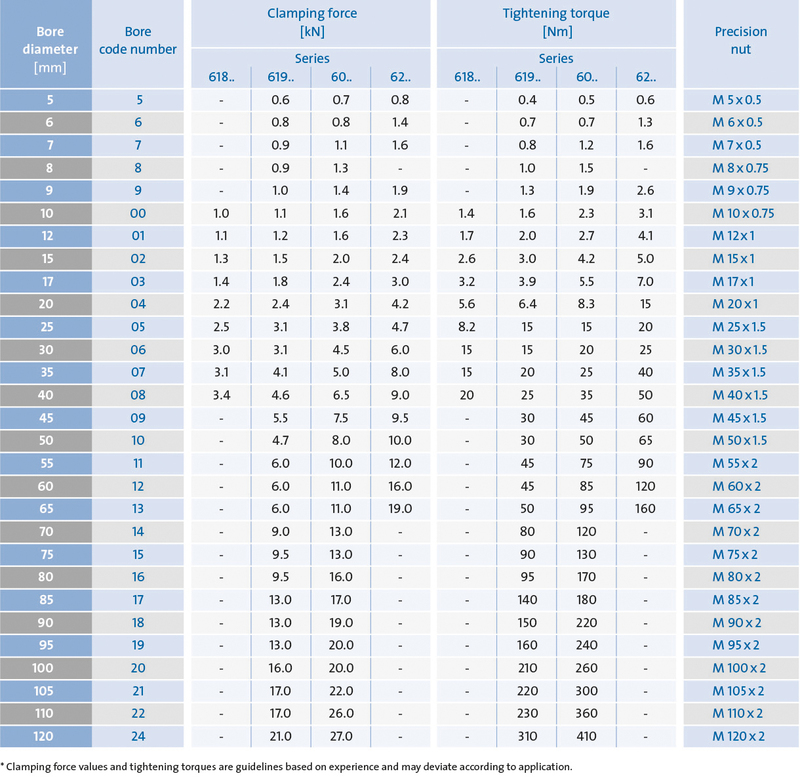 Values for clamping forces and tightening torques are experience-based indicative values and may differ depending on the application.